The 2018 NWGIS Conference will take place in Bremerton, WA at the Kitsap Conference Center. Located just steps away from the Seattle-Bremerton ferry terminal, Kitsap Conference Center at Bremerton Harborside offers the perfect collection of flexible spaces. 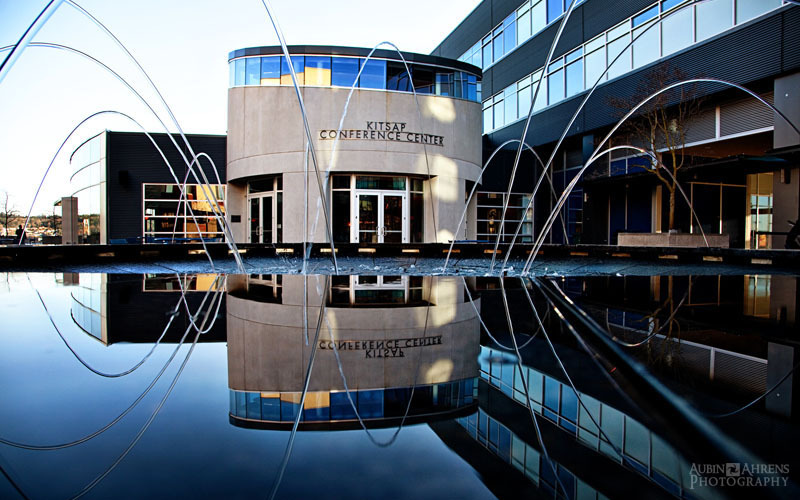 The Kitsap Conference Center is centrally located and easy to get to - by ferry or car - and offers ample parking. Harborside Fountain Park is right next door and has given Bremerton a whole new look. We have secured a room rate of $119 a night plus tax at 2 hotels adjacent to the conference center: The Hampton Inn & Suite by Hilton Bremerton and The Fairfield Inn & Suite Seattle/Bremerton. The room rate is valid for the period Oct 28, 2018 through Nov 1, 2018. Hotel must be booked no later than October 1, 2018. For details on how to secure the room rate follow the link below.